Just days before his 82nd birthday, Senator John McCain has died. The aggressive brain cancer ultimately claimed the life of an American legend, who survived hellish years in captivity in Hanoi after his plane was shot down and he was taken into captivity by Northern Vietnamese troops. McCain ran for president two times, in 2000 and 2008, securing the GOP nomination in the latter campaign and bringing Sarah Palin from relative obscurity into the national limelight. 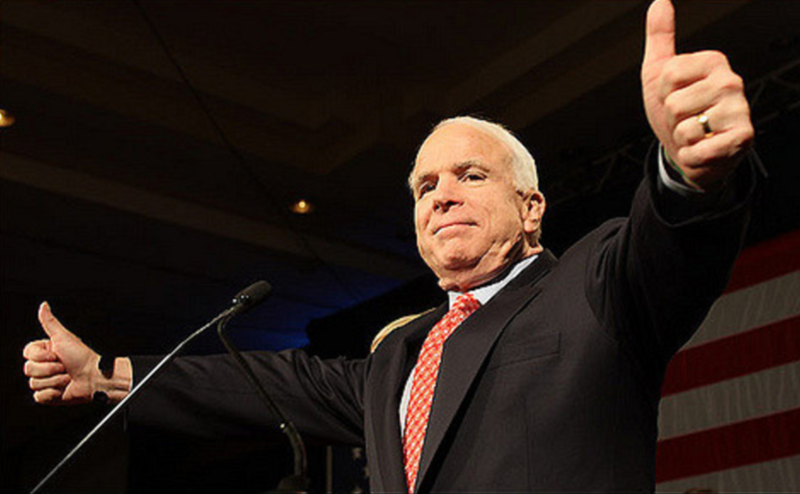 It was just one of the many moves that earned McCain the “Maverick” moniker. The McCain family announced Friday in a statement that Sen. John McCain (R-Ariz.) would stop the treatment he was taking. They publicly announced his diagnosis with an aggressive form of glioblastoma last summer and has been fighting the disease ever since.